Faceted Jewels creates the optical illusion of curved seams, but we promise all the seams are really straight! This design is one of our best-sellers. While it looks complex, it's made up of simple shapes: Four-patches, flying geese units and Tri-Recs units. 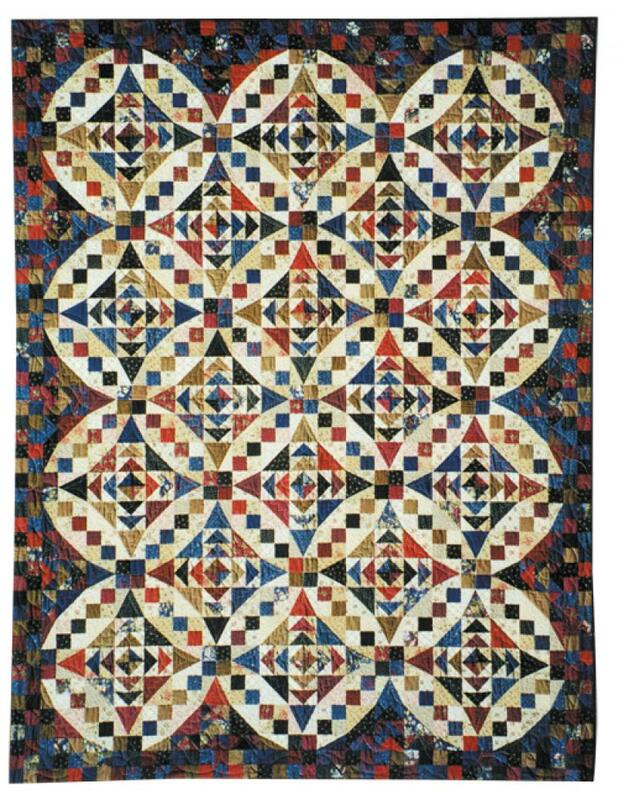 The combination of 18 medium-dark to dark prints and 12 assorted light background prints makes the quilt sparkle. You'll need a Tri-Recs tool to make this quilt. We also recommend both 2" and 4" half-square triangle paper. Recommended notions: Tri-Recs tool, 2" half-square triangle paper, 4" half-square triangle paper.